Some exciting news! 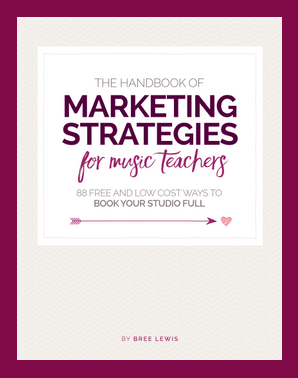 I have launched my newest project, an eBook called The Handbook of Marketing Strategies for Music Teachers: 88 Free and Low Cost Ways to Book Your Studio Full. You can download yours here. This interactive guide is intended to help you create a vibrant studio filled with music and students. You’ll learn the basics of how to make money while following your passion. This project was developed as a collection of 88 bite size business strategies especially for music teachers. 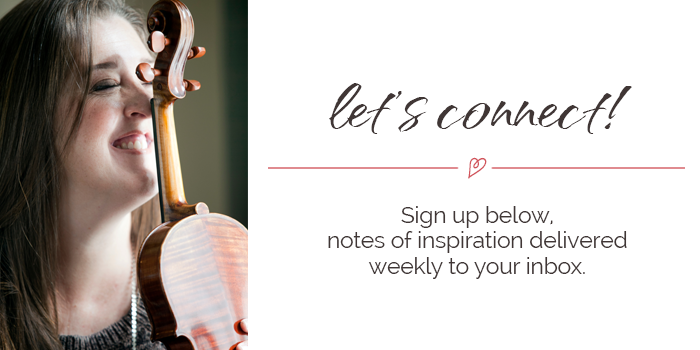 The ideas within are the results of both my own experience and time spent coaching music teachers in turning their love for music and teaching into a real business. You’ll find all sorts of creative ways to market your studio and find more students without breaking the bank. Some of my suggestions and strategies are easy fixes and ideas. Others will take more time and energy. Some ideas will resonate with you, and some will not. My goal here is to provide you with enough strategies and ideas so you have plenty to choose from. You may already have a working studio, but just need some fresh ideas for marketing. You might be brand new to a music studio business start-up and want to get going as quickly as possible. Whatever your situation, this guide is flexible and you can work on what you want whenever (and if) you want to! I would love to give you a sample chapter to give you an idea of the layout. Click here to check it out! I grew my Hawaii studio to 70+ students and recently, filled my California studio within two weeks of my move. Let me show you how I did it! Within this handbook, there are 88 bite size easy to set into motion strategies that cover the following topics. You want to be more financially comfortable!